There’s a chill in the air. The winter coat has been retrieved from the back of the closet (I swear I only just stuffed it in there) and our fingers have hovered over the heating controls... surely it's too early to switch it on? But a glance at the dreary sky outside confirms: autumn is well and truly here. Although we’re the first to begin plotting a winter warmer (Caribbean beach break anyone?) there is something to be said for travelling down patchwork coloured lanes, to feel the crunch of freshly fallen leaves underfoot and to watch the sun glitter through hues of red and gold. Yes, autumn can be savoured on a holiday too. We asked our Facebook fans, where’s the best place to see the leaves turn? And their suggestions were so good we just had to share them with you. Many of us don’t have to travel far to see scenes usually reserved for remote wilderness areas. Early morning mist swirls among the bracken and if you’re lucky, you’ll spot a deer or a stag beneath the trees. 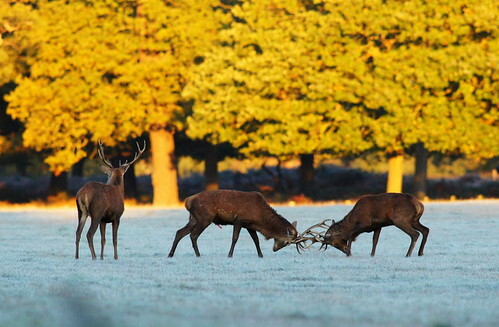 Autumn marks the deer breeding season when the Red stags and Fallow bucks rut – clashing antlers to fight off rivals and attract a lucky female. 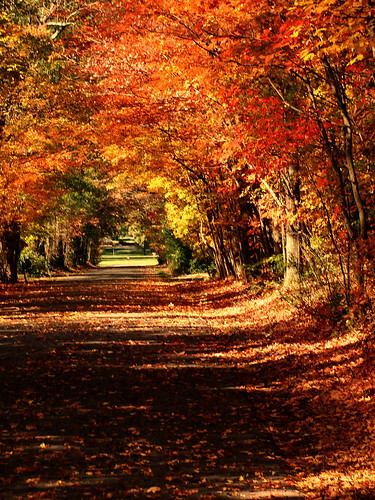 This north eastern corner of the United States is famous for its colourful autumnal foliage. In ‘fall’ the weather is crisp – perfect for hiking, cycling, or for cosying up beside a fireplace in a lakeside lodge. This time of year is harvest time in New England – pick crunchy apples from among the orchards or find a pumpkin to carve for Halloween. Fly to Boston from £459 or to Portland from £599, to access New England, where the colours begin to turn from October. Autumn hits the southern hemisphere in March. Fly to Queenstown from £1,199. So pretty, Ray Charles couldn’t get Georgia off his mind. We suspect you’ll have trouble erasing memories of the vermilion-coloured mountains too. The Georgian countryside begets long scenic drives – stop at one of the many vineyards along the way and snack on boiled peanuts. The Forest Service provides ‘colour updates' for those wanting to catch the best of Georgia’s seasonal metamorphosis. Find a guest house overlooking the valley, settle back into a rocking chair and enjoy Georgia ... 'the whole day through'. The leaves start to turn in Georgia from October. Fly to Atlanta from £488. Meander down paths lined with gold in Christchurch’s largest open urban space. Hagley Park is renowned for the striking colours that light up its trees in autumn or enjoy the wide open spaces for a game of football or cricket. 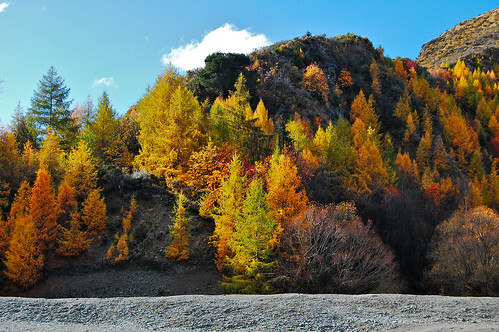 Autumn hits the southern hemisphere in March. Fly to Christchurch from £822. 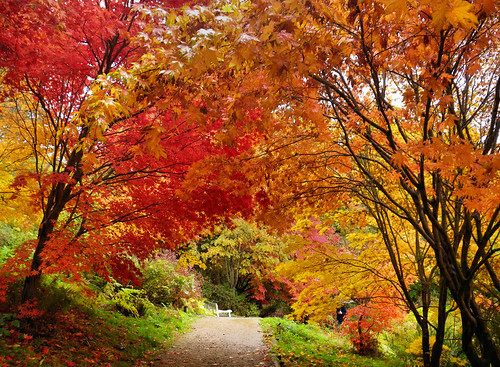 Winkworth Arboretum is famous for its autumnal colour, and it’s no surprise, for it was designed by the poetic method of ‘painting with trees’. Its designer, Dr Wilfred Fox, planted trees in groups that would result in rich swathes of colour when the seasons changed. In spring the cherry blossoms, bluebells, magnolias and azaleas brighten the paths. But as autumn descends, the trees ignite into a blaze of glorious gold. Know another great spot to enjoy autumn? Comment below, or head to our Facebook page to let us know!